By now, you know that gosimply.com should be your first and only stop for the best deals on your travel extras. Now there’s even more reason to come to us when you want to book an airport lounge! New lounges and lower prices! Our partner provider, Lounge Pass, has added several new lounges over the past couple of months, meaning we can now offer great prices on over 150 lounges at more than 110 airports worldwide. Don’t worry about whether or not you’ve got the right type of ticket to get access to the lounges either. Anyone and everyone is welcome to escape the crowds and noise of the airport terminal and chill out in comfort. We’ve also got new, lower rates for UK airport lounges (some as low as £13.50 per person! ), so there’s little excuse for not taking advantage of the VIP treatment on offer. No matter where you’re travelling, it’s very likely we’ll have a lounge for you to enjoy, so pre-book your airport lounge today and see just how relaxing a trip to the airport can be. You’ll start your holiday before you’ve even stepped on the plane, plus you’ll have the satisfaction of knowing you’re one of the smart people who gosimply. New lounges added and further price reductions! gosimply.com now offers you even more choice in Airport Lounges after adding 5 new lounges, all available for pre-booking. 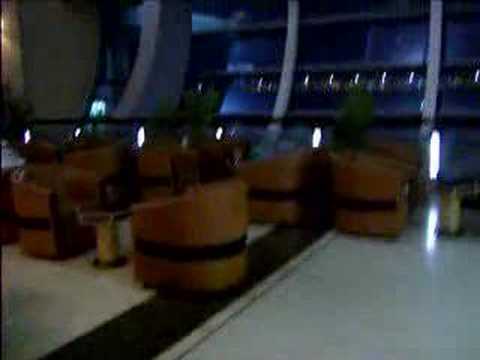 Mumbai International – Celebrations Lounge- NEW! Birmingham International – 4Deck Lounge – NEW! Barcelona El Prat T1 – Sala VIP Miro & also the Sala VIP Pau Casals – NEW! Plymouth City – Air Southwest Business Plus Lounge – NEW! London Heathrow T2 – Cobalt Lounge – NEW! Gatwick Wentworth Lounge was £18.50 now £15.00 – saving £3.50! Gatwick Aviance Lounge was £18.50 now £15.00 – saving £3.50! Manchester Escape Lounge was £20.00 now £18.50 – saving £3.50! GoSimply.com is pleased to announce the addition of two new airport lounges, which are now available for pre-booking. Passengers 12 years of age and older who are flying out of Durham Tees Valley Airport can now enjoy a pre-flight stay in the Servisair Lounge, located next to Gate 4 and offering a little respite from the hustle and bustle of the terminal. If you’re departing from Hong Kong International Airport, why not book a stay in The Travelers’ Lounge? As with virtually all of the lounges we offer you’ll enjoy free refreshments (including alcoholic beverages), plus you can take advantage of the shower facilities and WiFi Internet access. Johannesburg is ready to welcome tens of thousands of visitors with open arms for the 2010 World Cup. Extensive works at OR Tambo International Airport and the Coca-Cola Park Arena have been completed in readiness for the 2010 Fifa World Cup. The Confederations Cup on the 14th June this year between Bafana and Iraq is being seen by many as a dress rehearsal that will test the enhanced facilities at both the airport and venue. Interest in South Africa and Johannesburg as a holiday and business destination has grown in popularity over the last decade with passenger numbers increasing from over 12 million to over 17 million between 2002 and 2006. Air traffic movements increased by over 25,000 in the same period from around 175, 000 to more than 200, 000. 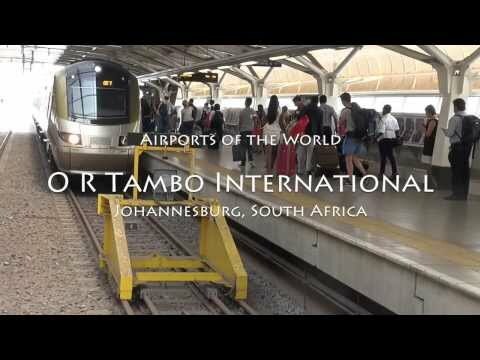 To cope with the increased demand of recent years and predicted future growth, improvements at Johannesburg OR Tambo International Airport have included: the construction of a main central terminal building, refurbishment of existing services such as the airport lounges at Johannesburg, the development of the international pier, construction of a multi-storey car park, road infrastructure development and a link to the multi-billion Gautrain station, amongst others. With the huge investments made at the airport, the Coca-Cola Park Arena and in local infrustructure, Johannesburg is ready to demonstrate its ability to host a major part of one of the world’s biggest sporting events. Here’s a hot tip for all you intrepid travellers partial to a little celeb-spotting……. A major Warner Bros picture ‘Clash of the Titans’ is scheduled to be filmed on location in Tenerife between 15th May and 3rd June. The main locations are the Teide National Park and along the coast in the districts of Icod, Buenavista del Norte and Guía de Isora. So, if you were considering a last minute deal to Tenerife before the summer rush take our advice and book yourself a lounge at Tenerife Airport. Who knows – you could be relaxing with the paper and a nice cup of Joe when all of a sudden Ralph Fiennes taps you on the shoulder and asks “Is this seat taken?”. Cue a full scale debate with Mr Fiennes as to whether the remake will be better than the 1981 classic – or perhaps he’ll simply make polite conversation about the state of the world economy. Either way – we think it’s a great opportunity to get up close and personal with some of the beautiful people! PS – Don’t forget your camera.